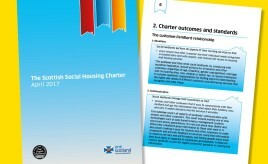 The Scottish Social Housing Charter (‘the Charter’) was introduced in April 2012 by Section 31 of the Housing (Scotland) Act 2010, and subsequently revised in April 2017. The Charter sets the standards and outcomes that all social landlords must aim to achieve for their tenants and other service users, and is currently made up of 16 outcomes. The Scottish Government reviewed the Charter in 2016/17, and conducted a formal consultation that closed on 24th August 2016 (available here). The SFHA submitted a response to this consultation available in the downloads section below. The SFHA then also submitted both oral and written evidence in Jan/Feb 2017 to the Local Government and Communities committee regarding a Revised Charter Draft that was developed following Scottish Government analysis of consultation responses. 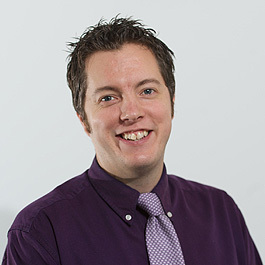 SFHA supported the Scottish Government approach of making no sweeping changes to the Charter at this time - as at the point of consultation landlords had only submitted three Annual Returns on the Charter. As such only minor amendments were made to the Charter. Following consideration of all evidence received the Committee recommended that the revised Charter be approved. See here: LGC Committee Response The revised Charter took effect from April 2017. The Scottish Housing Regulator (SHR) assesses if housing associations and co-operatives are meeting the outcomes contained within the Charter, using a series of Charter indicators. In May each year, housing associations and co-operatives submit an Annual Return on the Charter (ARC) to the SHR which it uses to make its assessment. More details about these indicators, the technical guidance relating to these, and the SHR's online tool for landlords to submit ARC data - the Social Landlord Portal - are available on the SHR website here. The SHR will conduct a review of its Charter indicators in 2017.